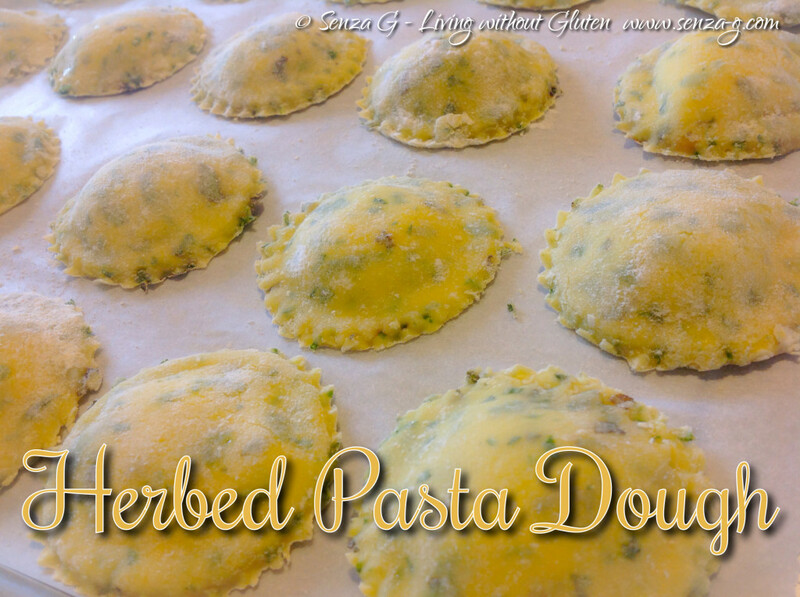 A really easy gluten free pasta dough which you can whip up in minutes. The herbs in the dough give it such a lovely taste. When mixing the wet with the dry ingredients, the dough should feel smooth as you knead it, if it feels too dry just a few drops of water till it becomes supple. Make sure that you flour your worktop as it might stick as you roll it out. Also, cut off small pieces rather than large pieces to roll out. You can use a pasta scraper to help the dough up whilst rolling it. Try to make it as thin as possible for the ravioli. Obviously it is not so easy to manage as gluten pasta dough, but it is worth the time and patience as it tastes really good. Put the flour/starches in a large mixing bowl together with the Xanthan gum and salt, combine well. Make a well in the centre and add the beaten eggs, the olive oil and the fresh chopped herbs. Mix with a wooden spoon if making by hand or in a stand mixer until the dough starts coming together. Tip it onto your worktop and knead until smooth. Form into a ball and wrap in clingfilm and chill in the fridge for half an hour before using. When you are ready to roll out the dough, dust the surface with rice flour or any gluten free flour so it will not stick to the worktop. 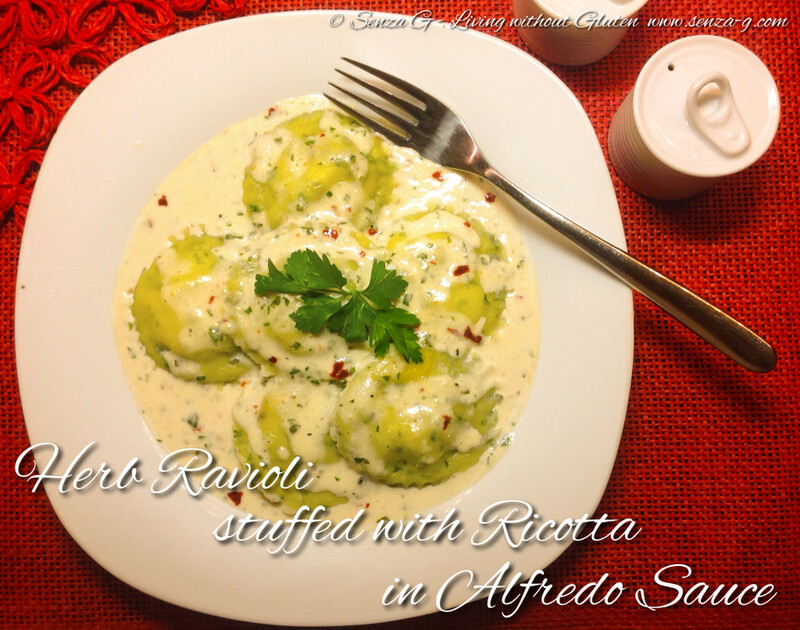 I used it to make ravioli stuffed with ricotta and parmesan and served it with Alfredo Sauce as below.